Students will study, write, and draw graphic narratives/sequential art. Teamwork in open studio on page and panel production will build upon dedicated reading and discussion of published works. A visiting artist will join regular faculty, community partners, and students collaborating on an exhibition for the Museum of the White Mountains. Scrapbook of Civilian Conservation Corps in New Hampshire, 1933-1940 / by Clark R. Hartford. 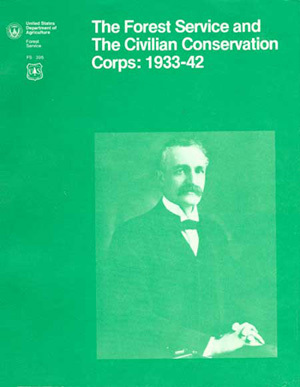 The civilian conservation corps camp newspapers : a guide / compiled by Marlys Rudeen. “Weeks Act & The Creation of the White Mountain National Forest” @ WhiteMountainsHistory.org = Lots of period texts, images, & resource links!